Have you bought your Samsung Galaxy S6? Is it the Samsung Galaxy S6 Edge? If you haven’t and you are in love with Iron Man, then hold on, you might be one of the lucky few who will lay hands to the Samsung Galaxy S6 Edge – The Iron Man Edition. A few hours ago The Korean Times reported that Samsung is planning to release a second version of the Samsung Galaxy S6 Edge themed in the Iron Man suit. Around the same time Samsung tweeted a Coming Soon image of the box shown below, which you should believe will be the housing for the new version of Samsung Galaxy S6 Edge. Samsung Galaxy S6 Edge is already an extremely beautiful phone. Imagine if the phone had some colourful red bezel and golden edge finish to make it look like a Marvel production – a resemblance of Iron Man suit. TechCrunch have thought through the possible look and produced a stunning image of the new look (see first image) and oh my, I would like to own the phone. There is a slight problem though, Kenya is likely to miss out as Samsung Galaxy S6 Edge – The Iron Man Edition, is going to be in a few selected regions. “The color of the new Iron Man phones will be red. We will decide on other details soon after discussions with Marvel Studio. It will be released either at the end of May or early June,” said Lee Young-hee, head of marketing for Samsung’s mobile division. The problem with Samsung Galaxy devices is that they are running on Android and Android doesn’t have a personal assistant that is as personal as Siri – the iOS personal assistant. Samsung tried to put their own S – Voice but she didn’t get smarter beyond basic phone operations. 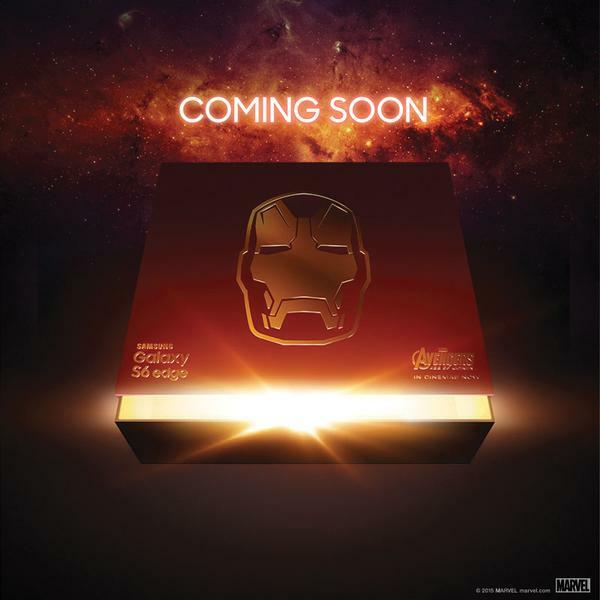 But imagine if the Samsung Galaxy S6 Edge – The Iron Man Edition could come with JARVIS, the Iron Man personal assistant. JARVIS is still way smarter than Siri, Google Now and Cortana combined. He has an appealing voice and can confuse you to be a real highly intelligent human – that voice alone would make the new Galaxy S6 Edge edition be worth whatever bucks they want to add to the Shs 85K the standard Edge already sells at. The making of Samsung Galaxy S6 Edge – The Iron Man Edition is no coincidence. Already, Samsung and Marvel made a global marketing partnership in which innovative Samsung technologies and classy gadgets will feature in Marvel films, a move Samsung thinks will help the company place itself as the futuristic tech company. As we all know, Samsung’s slogans have largely been futuristic – for example the hashtag #NextIsNow that was used to launch both Samsung Galaxy S6 and Samsung Galaxy S6 Edge is very futuristic. It’s too bad there are no pricing leaks, but what I can guess, if by any miraculous chance the Samsung Galaxy S6 Edge – The Iron Man Edition lands in Kenya, the gadget will sell well above Shs 100K.